Chinese is the most superior and have Mehr "blocky" characters. Japanese is the Mehr technological of them and have Mehr "cutesy" characters. Korean...they sing pop...I guess....they have "circular" characters. 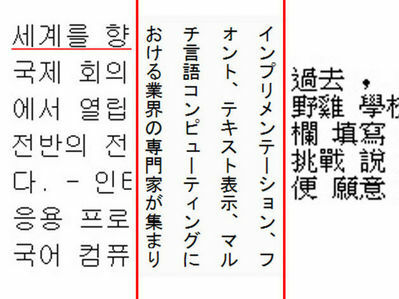 So, image below is in this order: Korean characters, Japanese characters, and Chinese characters. I dont know a lot about the languages, only about their appearances.